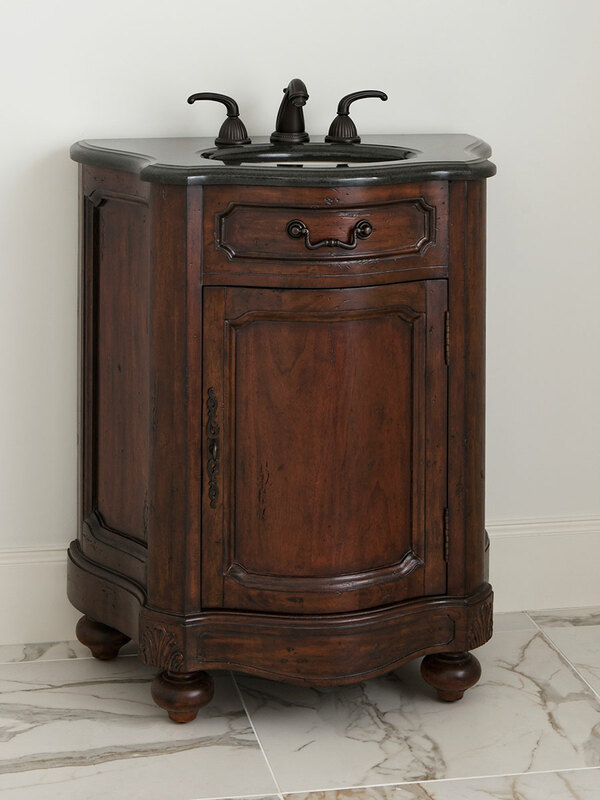 The 30" Noble Petite Single Vanity has a graceful style that is achieved through an antiqued distressed finish. This beauty packs a lot of fine details in a convenient package. This lovely chest has a Black Granite top that brings out the finish. You can find carved details over the doors and apron. Storage is available in behind the single door. For compatible faucet options, please see the drop-down menu. Comes with an installed Balsa porcelain sink.